Read the stories that were in the February edition of the Big Thrill. 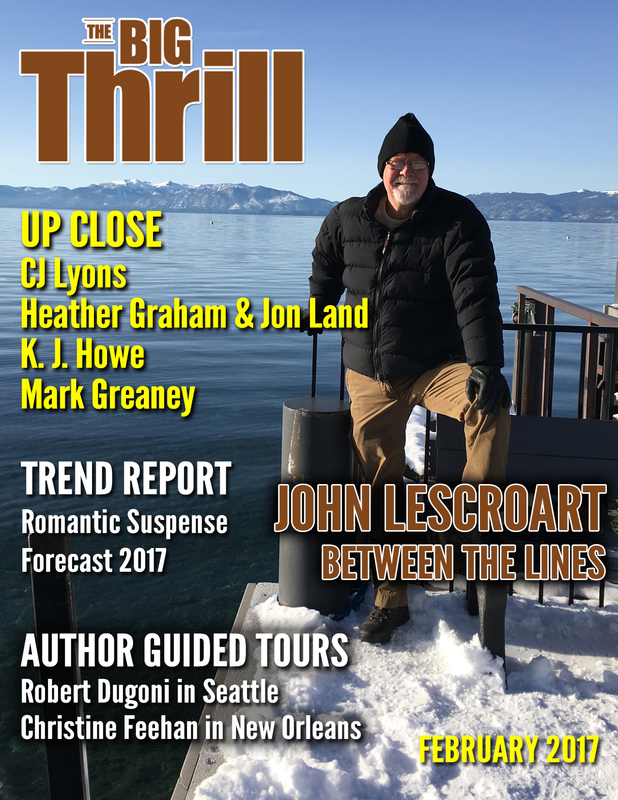 In this issue, we discover how John Lescroart explores the depths of human frailty in his suspense fiction. We also hear about thriller craft from Mark Greaney and CJ Lyons, and in “Turning Point,” Heather Graham and Jon Land talk about joining forces to write a YA suspense. We have two exciting “Author Guided Tour” columns this month! Robert Dugoni writes about Seattle, while Christine Feehan explores New Orleans. In “Africa Scene,” Paul Mendolson takes us to Cape Town, while in “International Thrills” we discover the dark side of the Eternal City through Sandrone Dazieri. In “Trend Report,” Dawn Ius charts a course for romantic suspense in 2017. SJI Holliday interviews Steph Broadribb for “Debut Spotlight.” And in our new column “True Thrills,” covering nonfiction, author Claudia Rowe reveals her obsession with understanding a serial killer. 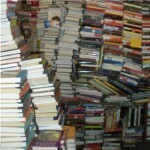 We also cover new books from K. J. Howe, Reed Farrel Coleman, Kat Martin, Lisa Black and 20 more. The latest thrillers from Lisa Gardner, Rhys Bowen, J. H. Bográn, Charles Salzberg, Brad Parks, Matthew Betley, Catherine Coulter & J.T. Ellison, Barry Lancet, James Grippando, A.J. Tata, Paige Tyler, Michael Niemann, Adrian McKinty, Josie Brown, James Cabot, Paul Howard, Paul A. Barra, Rick Mofina, Nancy J. Cohen, Merry Jones, Lynn Chandler Willis, Philip Donlay, Cynthia Kuhn, David Sakmyster and many more! Check out what’s in store for February. You won’t want to miss it! Congratulations to David C. Parlier, the winner of this month’s BIG THRILL giveaway. David will receive an assortment of signed thrillers including Dirty Deeds by Armand Rosamilia, Undercover Protector by Elizabeth Goddard, Conspiracy of Silence by Ronie Kendig, Chilled to the Bones by Linda Lee Kane, Slave Queen by H.B. Moore, Moon Over Ruin by Lisa von Biela, The Unsettling Crime for Samuel Craddock by Terry Shames, The Veritas Deception by Lynne Constantine and Where the Lost Girls Go by R. J. Noonan.